Indian Roots is located next to Mabprachan lake, East Pattaya (see map below) in what was formerly Mulligans Pub. What I like about Indian Roots (besides the food) is the very welcoming atmosphere and the fact that they are family friendly. 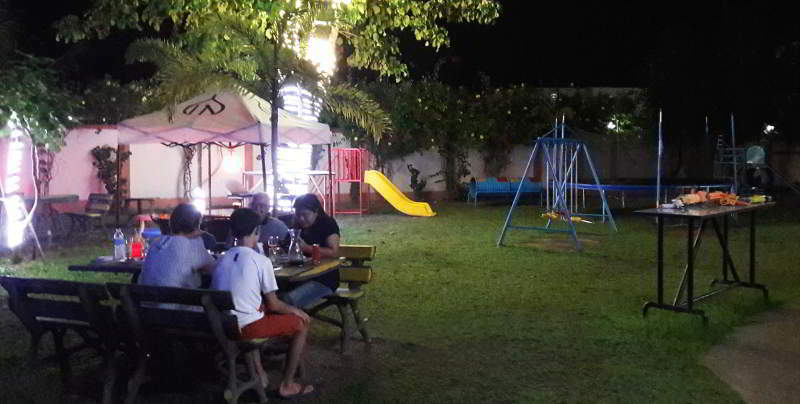 They have a wonderful spacious outdoor dining area, complete with atmospheric lighting, and most importantly for my kids there’s a play area, the highlight of which is a giant trampoline. What about the food ?. 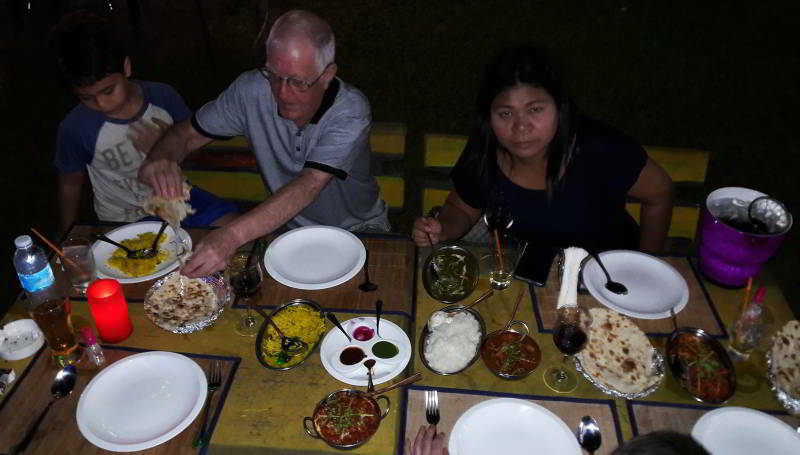 In my opinion it was fantastic, they have a great choice of starters and main meals, and it was as good as any Indian food I’ve had anywhere. They don’t have a western menu, but they do have a Thai menu, which is good news for curry fans who are married to Thais, who often don’t find Indian curry to their taste. On your way down the page to see opening times, map location and website address for Indian roots, take a look at the photos to get a better picture of the atmosphere and facilities at Indian Roots. 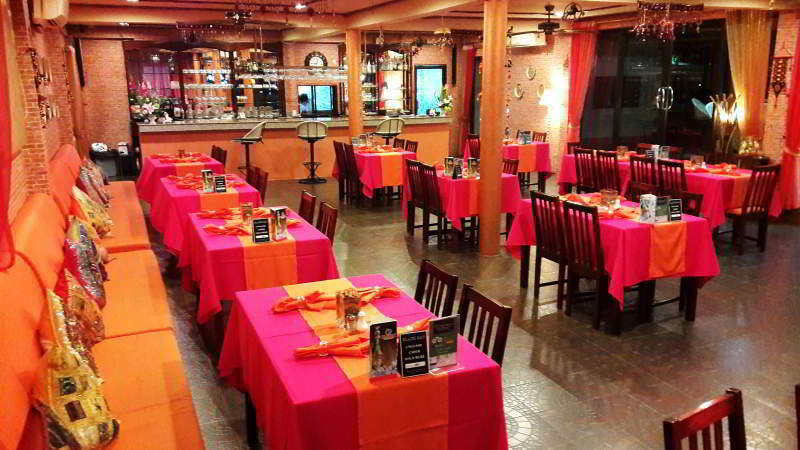 Welcome to Indian Roots Restaurant. 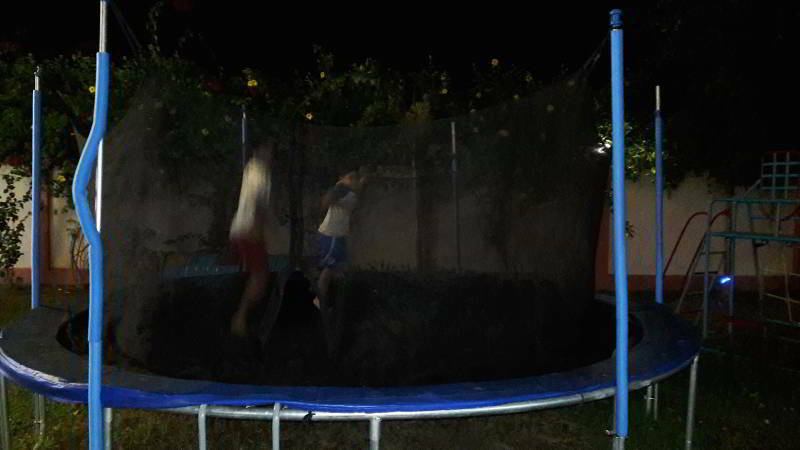 Trampolining ! !, hopefully before you eat. Authentic Indian dining at Indian Roots Restaurant. 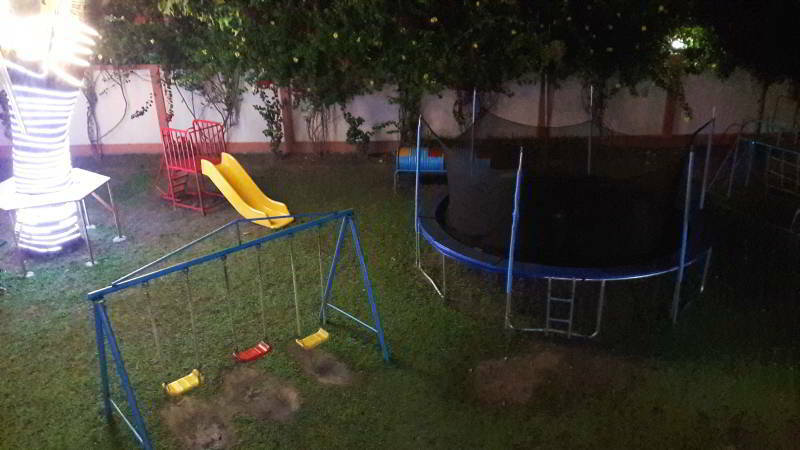 Upstairs bar, dining area and pool table. Downstairs dining area at Indian Roots. 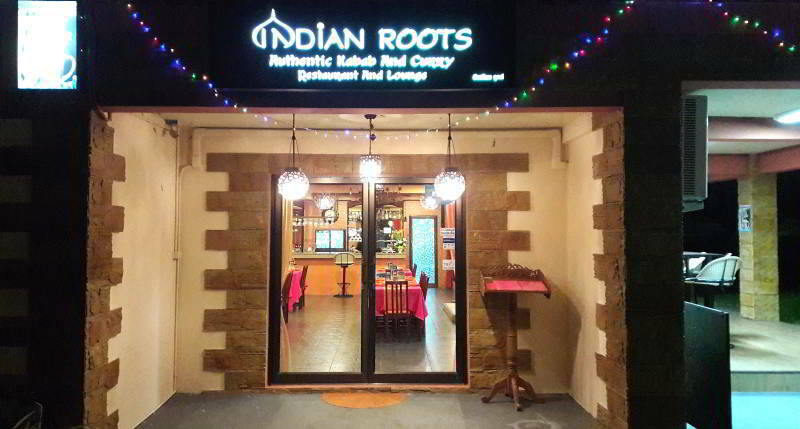 Indian Roots opening times: 11AM to 11PM every day. 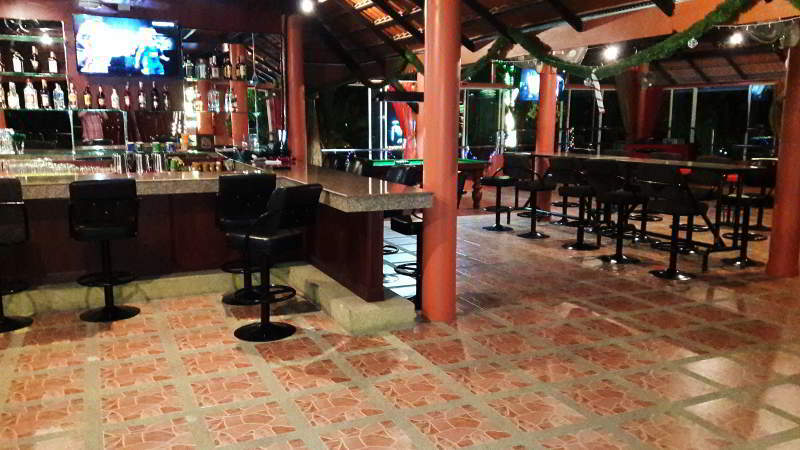 Indian Roots Address: 12/4 Moo 5 Pong, East Pattaya (Mabrachan Lake).